Gold surgical rejuvenation techniques have been used in France and Asia since the 1960s. It reduces wrinkles improving skin appearance. The GoldThread™ Surgical Rejuvenation Procedure was developed by Dr. Pawel Koziczynski and uses a minimally invasive procedure which results in no blood loss, no scars, and minimal use of anesthesia. Our products and technology are used by clinics in the United Kingdom, France, Poland, Russia, Thailand, Malaysia, Indonesia, China, Vietnam and Singapore. You can submit your inquiry from feed back page and it will be answered by the nearest treatment center. International inquiries hotline: +1 305 517 1794. Dr. Lichaj graduated from the Medical School at the Poznan University, Poland. He worked at the Research and Municipal Hospitals while continuing his studies in esthetic and anti-ageing medicine. In his private practice Dr. Lichaj employs a wide variety of modern cosmetic treatments, including gold thread. 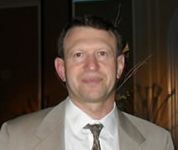 Dr. Katsnelson received his Medical degree in Europe in 1981. He worked intensively in several Hospitals as an Internal Medicine Doctor. 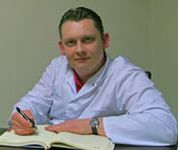 At present time along with working in Miami, USA as an Anesthesiologist, he continues researching and developing Gold Thread Implantation techniques around the World. Gold Thread™ Implantation is an improved version of European's Gold Filaments/Thread technique, with much lesser invasiveness and higher efficacies. Currently, the latest Gold Thread™ Implantation developed by Dr. Pawel Koziczynsky in year 2000, is performed with gold thread and needle 10 times smaller than those used in European technique, gives rise to an ultra minimal invasive procedure which is painless, no bleeding, no scars and does not require any kind of anesthesia, with the ability to rejuvenate your skin as much as 5-8 years, at the duration of 8-15 years! Patient can resume normal lifestyle immediately after Gold Thread™ Implantation procedure. 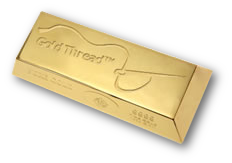 Gold Thread™ Implantation will rejuvenate you with gold thread which is made of 99.99% pure gold at the diameter of 0.1mm, specifically manufactured for implantation purposes with full compliances to the FDA specifications.